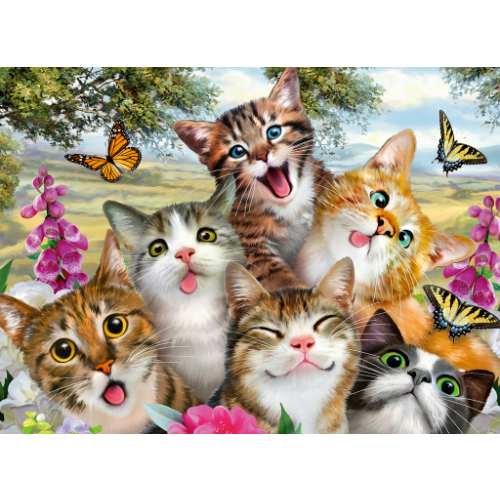 Even if you do not love cats, you will have a giggle assembling this Friendly Felines 200 piece jigsaw puzzle by Ravensburger. 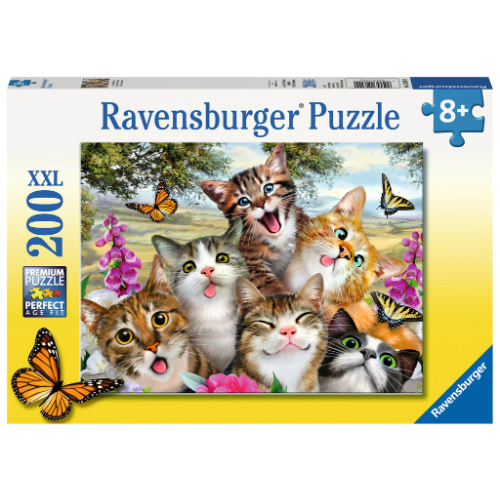 This silly cat jigsaw puzzle has 200 slightly larger pieces for younger children or for adults who need a larger piece size. Completed puzzle size: 19" x 14".